The world of digital marketing is constantly changing, with new devices and platforms creating innovative ways for brands to reach consumers. However, change isn’t always so good for older marketing approaches. Some of these long-time marketing channels are losing their appeal as fresh new tools and tactics arrive on the scene. However, certain older channels, like radio, email, billboards, and word-of-mouth remain relevant despite heavy competition from newer strategies. 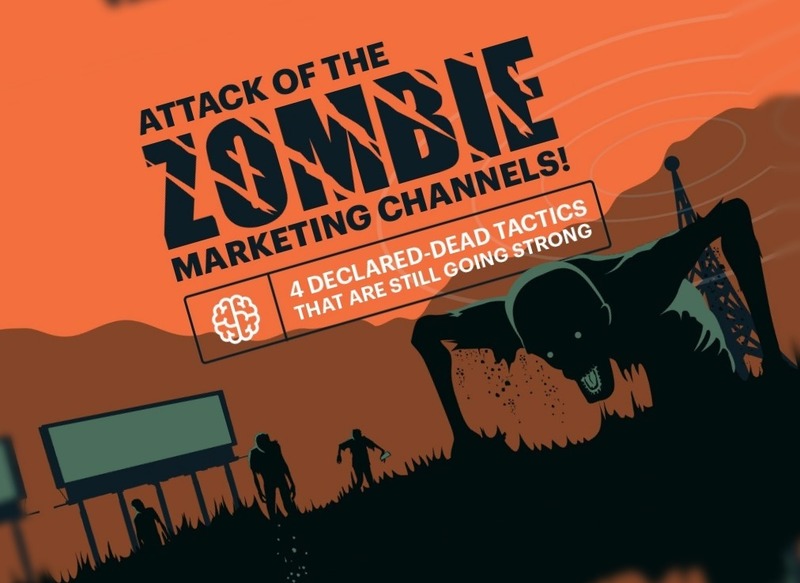 This new infographic from MDG Advertising, explores how these seemingly “dead” channels refuse to settle into the Graveyard of Tactics Past, and they still roam the marketing world today. And much like zombies, these traditional approaches remain powerful and hard to beat when it comes to spreading your brand’s message. You might think that television has made radio less popular, but radio’s popularity remains consistent. In fact, radio has the largest reach of any channel or device in the United States, with 271 million people listening to broadcasts every day. So, how do these marketing channels remain relevant? The key lies in their ability to constantly evolve with the times. For example, word-of-mouth marketing has found a home among social media fans, who share reviews with their friends and family online. Plus, most millennial consumers still prefer email as a way to hear from their favorite brands. With these ghoulish channels still lurking around the marketing scene, there’s never been a better time to refine your brand’s promotional plan. To find out more about these zombiefied platforms, check out MDG’s full infographic.